The world wide web. What a wonderful universe it is. Governing, organising and spreading information to every nook & cranny of the globe. What a marvel, what a delight! More than that, what a bursting bucket of opportunity! Many of us cake decorators however are known to approach the cyber space with much fear & trepidation. Terms like like domain name, web hosting and coding would have some of us quaking in our boots and throwing our hands up in disdain, retreating to the comforts of our kitchen whilst thinking “it’s all just too hard”. The fact is, we cake makers NEED the internet. More than that, we need to know how to use it the right way to feature our products & services in the best light. Cause try as we might, there just isn’t a faster or better way to grow our business than with the internet. In this blog post, I’ll be discussing the importance & role your website plays in your cake business and then sharing 5 proven Website Tips to land MORE Cake Bookings. Now I know many of you out there may already have a cake website, but stay with me till the end friend, cause you may pick up a tip or two to make your website EVEN MORE awesome than it already is right now and consequently, enable you to convert way more people into paying customers. True, word-of-mouth can be a strong business driver for us cake decorators, but ask yourself this…how are those people who have heard of your cake decorating prowess going to find you? The phrase “I’ll just google it” has become so ingrained in our society for the simple reason that the internet has become undeniably the most used means to search for businesses & products. So think about the next time your business name gets thrown about at a birthday dinner party… Wouldn’t it be nice to have your gorgeous website pop up when one of those partygoers types into the google search bar? But I’ve already got a Facebook / Instagram account. That’s enough surely? Facebook & Instagram is AWESOME (and imperative) for growing your following & attracting clients. But let’s get real. Social media in whatever shape or form is borrowed space. Speaking metaphorically, a Facebook/Instagram feed would be a rental property where you’re subject to monthly term changes as opposed to a home that you own (website) – which is where you have full jurisdiction. We’ve heard & seen the “algorithm” updates on social media platforms, causing panicked chaos as business owners struggle to get their content seen. Furthermore, a website is oh so important as it builds client trust. The “higher-end” clientele who many of us desire to have in our portfolio tend to make judgements on the “legitimacy” of a business based on that business’s online presence (i.e. website). For a vast majority of bakers & cake decorators who work from home without a storefront, a website acts as your virtual storefront. All of this website ramble is to shed light on the importance of having & strategically building a user-friendly website. How Do I Build an Awesome Cake Website ?? There are 2 ways to build a website for your cake business. Quite simply, you could ask/pay someone else to do it, or simply do it yourself. I figured making a couple of cakes and selling them (and then using this money to pay someone to build a site for me) would be quicker and less stressful than actually trying to learn to build & maintain a site myself. I was fortunate enough to have a friend who helped me build my very first cake website for a reduced rate at the start. So if you’re someone who’s just starting out, I would totally recommend asking around your social circles for contacts of someone remotely techy who could help build your site for free, a reduced rate or in exchange for services. That said, a website would be one of the must-make investments when you start a cake business and so hopefully, you would have budgeted for this when you set aside your start-up funds. The best thing to do is to consider and research the pros & cons of each method before committing to it. A website is a big investment (time & money) and is something that you will likely be committed to for 2-5 years (after which, would be about the right time for an upgrade). Make sure that website is easy peasy to use. If you want to test this, get your aunt or better yet, someone’s grand daddy to use your site and see if they can navigate around it easily. Make your tabs & headings easy to read and laid in an organise fashion. A beautiful website can be a total waste if your potential clients can’t easily find the information that they’re looking for on your site. Site crashes, slow load times & glitches can be a major turn-off for users and so do your very best to fix issues as quickly as they arise. Functionality & user- friendliness is arguably as important (if not more important) than aesthetics in building a cake business website. The number one thing a client wants to browse on a cake website is the cake gallery. 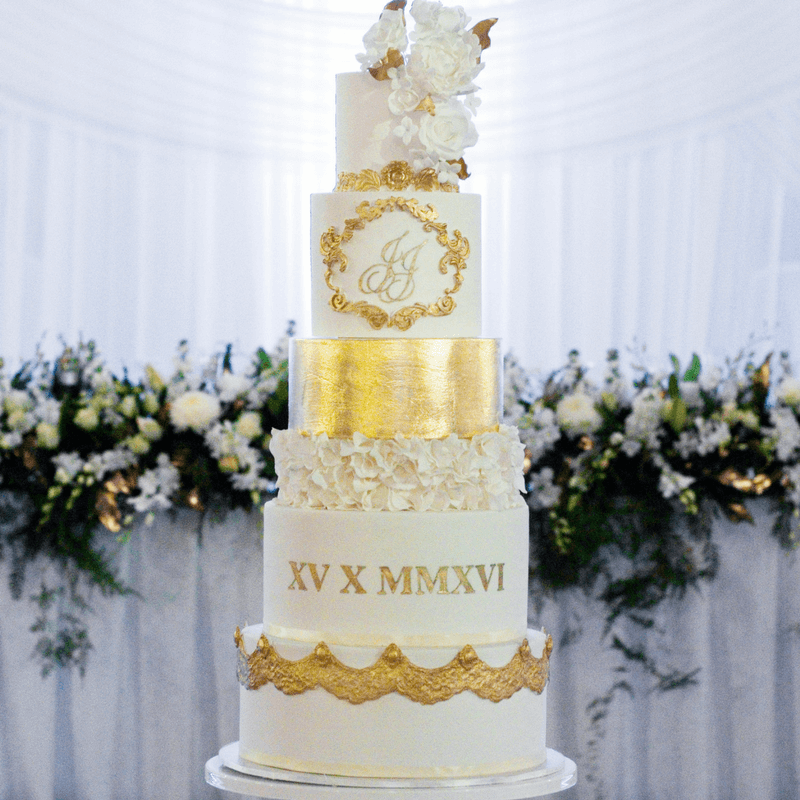 It is almost unheard of for a client to secure a cake booking without first scanning through some of your past work, so with that in mind, make sure you put your best foot forward! As cake makers & bakers, our products are visual in nature, and so our site does need to feature images prominently in order to attract and entice our ideal clients. Here’s the thing, we want to make it SUPER DUPER easy for shoppers to book your product & services. So a big tip is to make your contact info prominent and easily visible. Better yet, if you can embed a Contact Form for potential clients to directly make an enquiry via on your site: MEGA WIN! Doing this makes it a breeze for people to get in touch, which in turn…results in more enquiries and you guessed it – a higher potential of bookings! A call to action is exactly that, a prompt to get your web users to take action. Stats show that 70% of websites’ landing pages don’t feature a call to action, resulting in lost sale opportunities. Here’s the thing.. Filling your site with stunning images & attractive wording ain’t enough. You gotta nudge your potential clients to DO SOMETHING that will take them a step closer to making an enquiry/placing a booking with you. A good way to do this will be to have buttons or links on multiple pages asking your users to “Enquire Now” or “Request a Quote” which will direct them to your Contact Form. Nothing helps push a potential customer over the line quite like a positive testimonial can, so make sure you feature these visibly on your site. Those browsing your webpage might be wondering what your cakes taste like, or may be curious to know what kind of service quality they can expect from you. Having testimonials from past clients could help answer all these questions in their minds. Soooo… always remember to collect feedback from your clients SOON AFTER the event (cause asking them 3 months after they’ve eaten the cake can be kinda weird)…. It can something as simple as a follow up email thanking them for their order and asking them how they enjoyed the cake. Easy peasy! More often than not, these be turned into testimonials for your website. You might be temped to think of this as a hassle or an extra task with little importance, but in actual fact, collecting a client’s feedback could very well be the thing that earns you your next booking.! Do you already have a cake website? With these tips in mind, what are the tweaks you think you can make to improve the functionality, aesthetics & conversion of your website? Thanks for sharing! I tried out a new sweets oriented website builder last year, and i am attempting to revamp it by myself (declutter, add new awards and features ect). I considered hiring someone, but I am afraid no one will want to work with this new style builder.